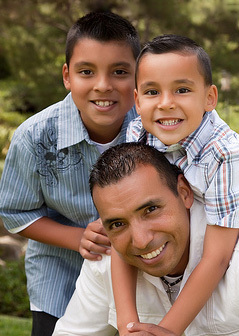 Our practice is designed to meet the needs of those who come from the small, rural communities in our area. We appreciate the value of providing friendly, personal service that treats the whole person, not just his or her teeth. Dr. McQuillen and his team remember the people they see at the office and work to make their experience here relaxed and engaging. We stay up to date on the latest advances in dental health technology and techniques. This ensures that our patients enjoy pain-free treatment that gets them the best possible results. We use digital X-rays for safer, sharper imaging and we are proud to use CEREC® to provide crowns and onlays in a single visit. We want your teeth not only to feel great, but to look beautiful as well. Our practice is a certified provider of Invisalign® to create perfect smiles. We offer teeth-whitening services, and we also give you the option to choose tooth-colored fillings for the most natural look possible. 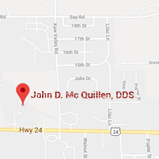 Dr. McQuillen is an experienced professional who serves patients of all ages. His support team is made up of skilled individuals who share that experience. Whether it's an appointment to monitor the progress of your baby's teeth, a checkup before your senior photos, or a consultation after work, we can accommodate your needs.